After lunch we returned to our room and promptly slept for 13 hours awakening at about 5am the next morning, perfect. We decided we would get our bearings in Cape Town by doing what many consider to be sightseeing sacrilege the open bus tour! I know very touristy but it looked very promising as it included an excursion around to the western beaches and a tour of the wine district all very close to Cape Town city centre. The roads around the other side of Table Mountain weaved through pleasant leafy neighbourhoods and this side of the mountain was covered with lush forests which we were not expecting. 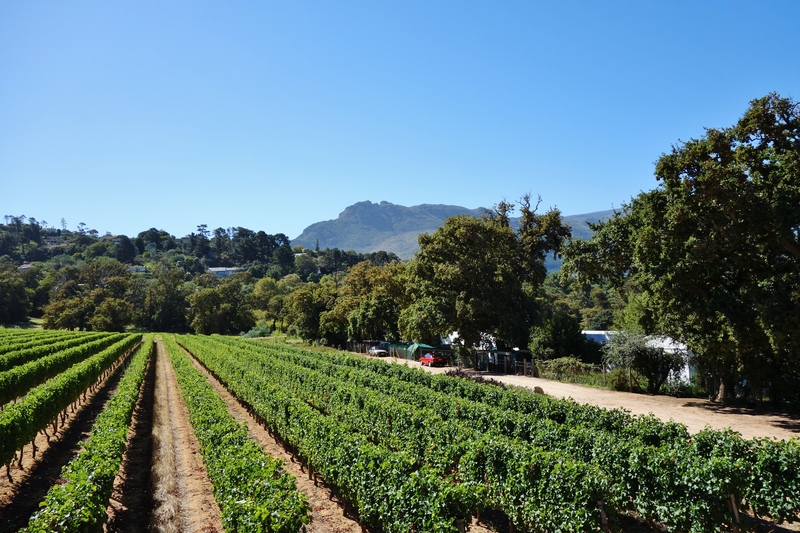 The views across the valley were stunning and we were beginning to get the feeling that life in Cape Town has much to offer those who are on the right side the economic equation. 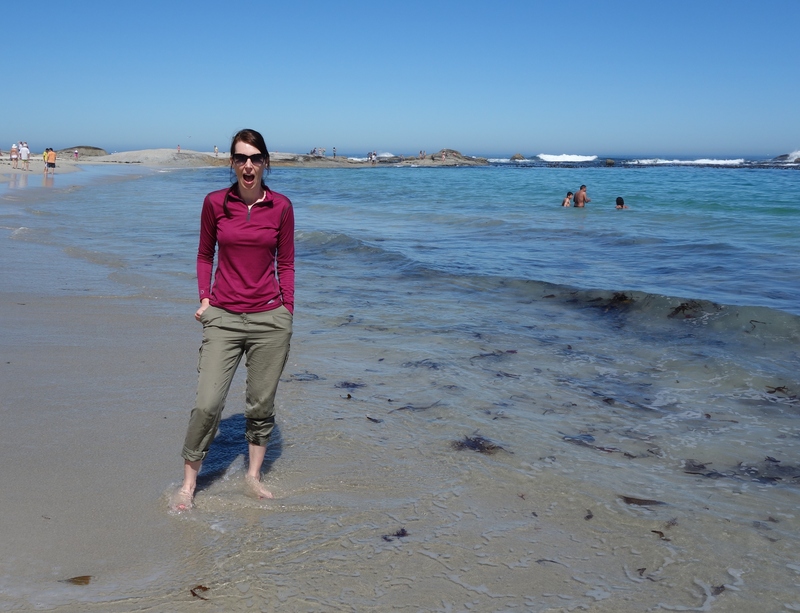 The beaches were very beautiful and hemmed in by dramatic sea cliffs. All lined with upmarket restaurants and bars. While the sand was inviting the water certainly was not a very chilly 9 degrees and it actually made your feet ache with pain when we went in for just a foot dip. 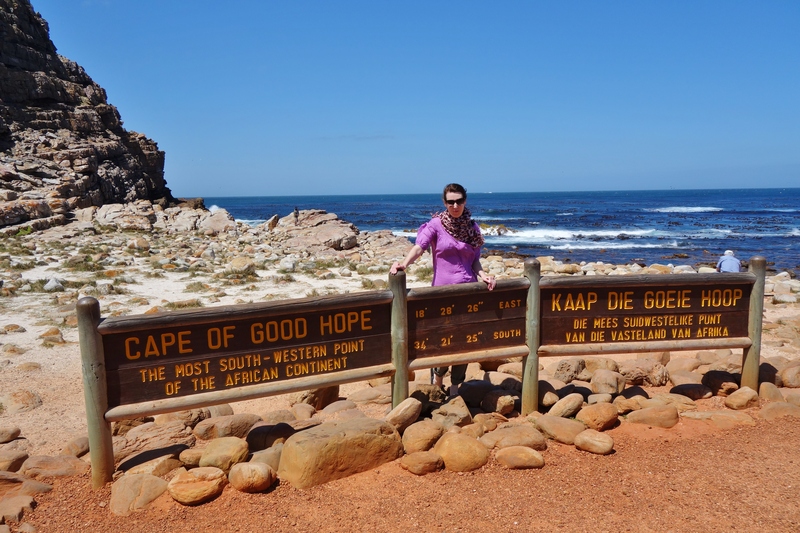 By far the highlight of our stay in Cape Town was hiring a car and driving down to the Cape of Good Hope. This is the most south westerly point on the African continent and seemed a fitting place to begin an overland journey from Africa to Asia. The drive down was spectacular as it clung precariously to the high cliffs. Vast deserted sandy beaches stretched away to the distance. 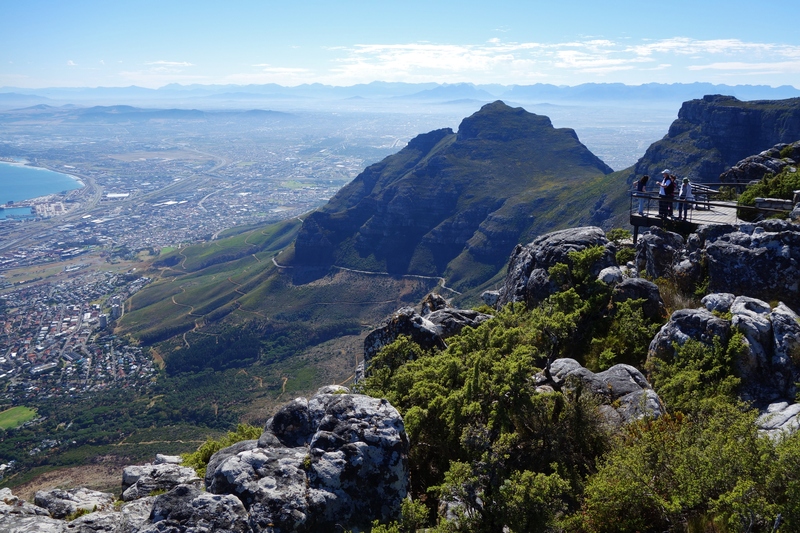 This really is a must do for anyone coming to Cape Town. Just as we approached the final tip of Africa we were rewarded with a sighting of Ostriches running along the beach of all places. At last a true icon of Africa and it only took three days. Emma had been taking careful note of all the anti-baboon propaganda basically stating that they are very dangerous. Well as you can imagine every time I wanted to get out of the car to take a photo I very quickly heard the car door lock behind me. Casting my eye back I could see Emma checking in all directions for an imminent baboon strike. The accent here is very infectious and we are having to resist saying “ya” at the end of all our sentences. 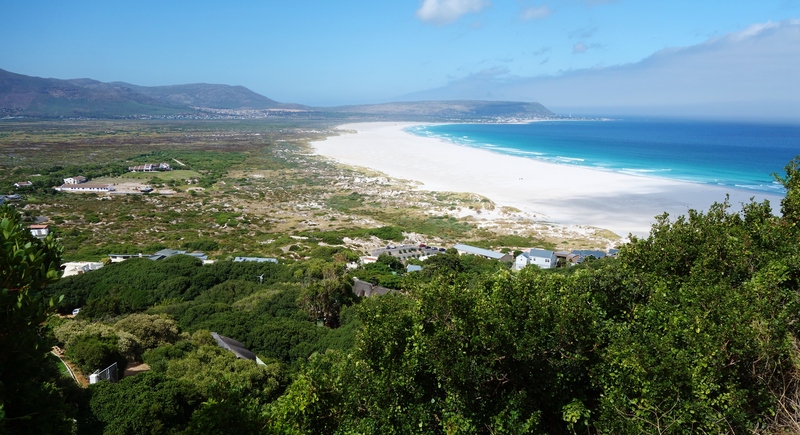 Cape Town is great city but there is nothing here of the Africa you are looking for. It’s a great place to start or finish a trip and so with that in mind we head off next by Bus to Windhoek Namibia. Well there has been a lot of things going on around here of late. Just got our tent out this morning and made sure we had all the parts and more importantly we had to remember how to put it up. A few minutes of head scratching and it all seemed to come together. Always best to practice before you head off and embarrass yourself in front of hardened campers. 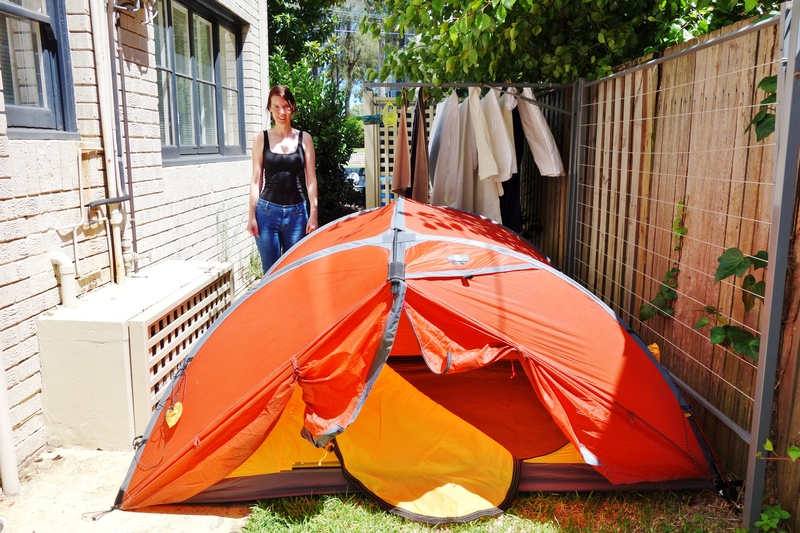 We are hoping to spend a bit of time in it to save money and also from what we read Africa has a lot of great guest houses and backpackers that allow you to pitch a tent. You think you have it all covered and then just keep thinking of new things that need to be done. 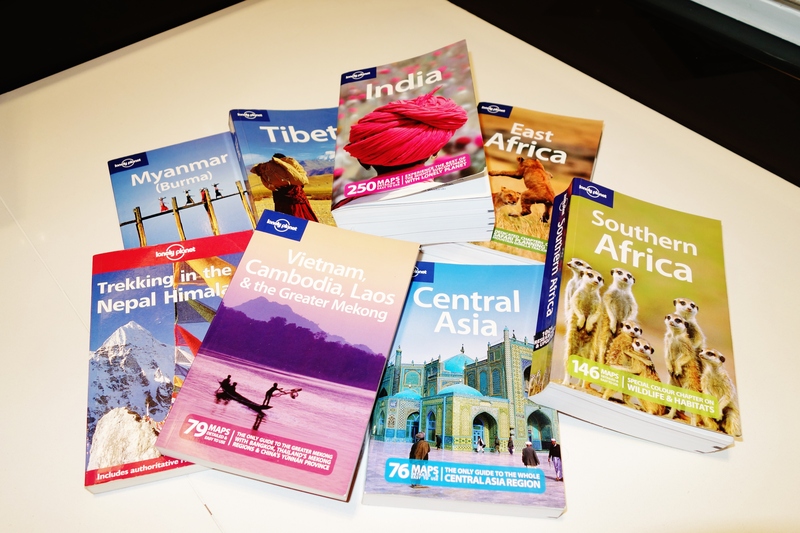 The shopping has just about finished we have confirmed our flights and will be leaving on the 14th February. Yes valentines day for all you romantics out there. We have been trying to focus on what we need to do here and worry about what to do once we start travelling. Having these books beside your bed certainly makes for some exciting reading. Must focus more on packing things up and less on what to do?